what are the differences between emagic midi interfaces? USB-Bus-powered from USB connection. No additional power necessary. 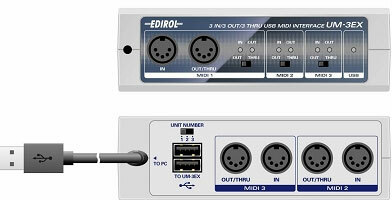 Opcode Systems, a division of Gibson, released it's MIDIport 32 USB MIDI interface for both Macintosh and Windows. 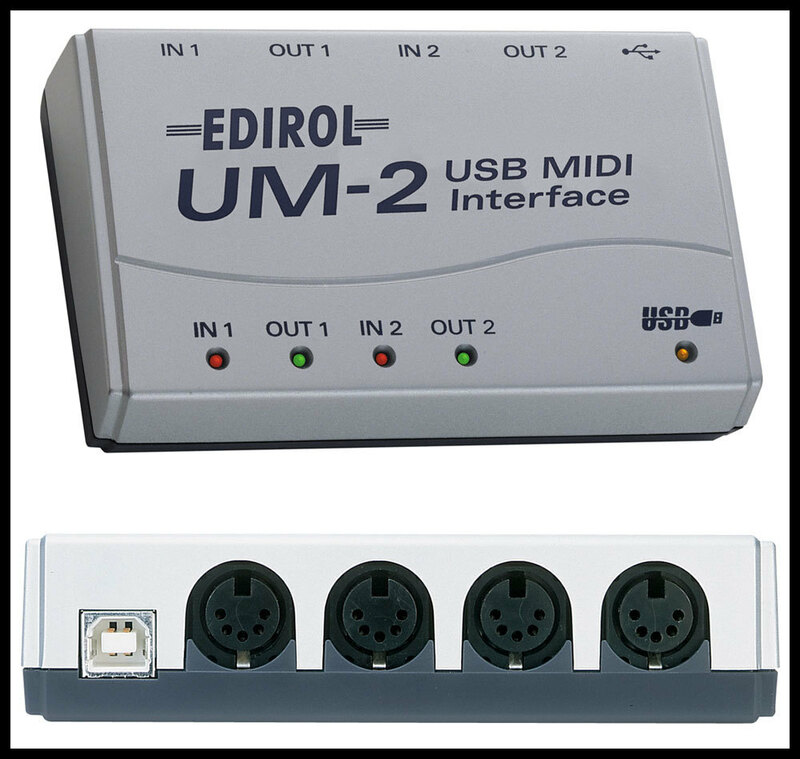 Opcode's USB MIDI interfaces correctly handle the "random reboot" problem that can occur when multiple USB MIDI devices are used simultaneously. Without this Opcode-designed feature, USB devices may unpredictably reconfigure after the computer restarts, causing attached MIDI peripherals to move or disappear. Opcode's unique solution consistently tracks each USB MIDI interface and all related MIDI connections boot after boot, Mac or Windows. The MIDIport 32 is a robust MIDI interface for iMacs, blue G3 Macintoshes and USB-equipped Windows 98 PCs. And Newer Driver's are available online. "Opcode invested significant engineering resources to tame USB and provide a complete MIDI solution for computer musicians." said Tom Sherman, Opcode's VP of Engineering. "The MIDIport 32 has been specially engineered, taking advantage of USB's high-speed connection to provide professional-quality MIDI timing. In addition, MIDIport 32 makes installation on Windows truly simple -- no IRQs, DMAs or I/O addresses -- plug it in and it works." MIDIport 32 connects any MIDI (Musical Instrument Digital Interface) device, such as a synthesizer or drum machine, to a computer, allowing recording and playback with music software. Multiple MIDIport interfaces can be used on a single computer. 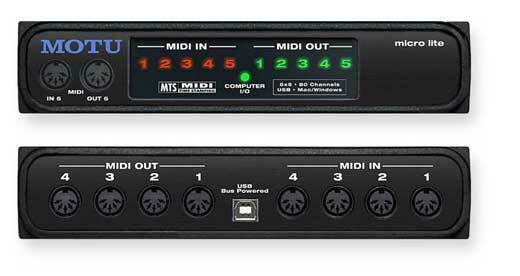 MIDIport 32 has 2 MIDI ins and outs for 32 MIDI channels. It includes status LEDs for MIDI activity and is powered over USB requiring no external power supply. The package includes a six-foot USB cable and a CDROM of software drivers. 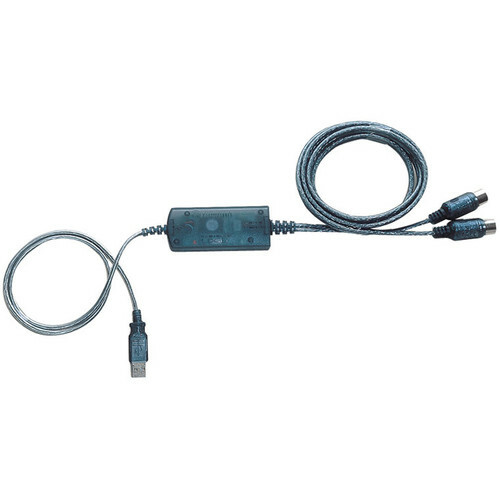 The MIDIport 32 works with any OMS compatible Macintosh application such as Opcode's Studio Vision Pro, Vision DSP(tm)and MAX(tm) or Digidesign's Pro Tools(tm) software, and any Windows 98 compatible music software such as Opcode's Musicshop. "This is Opcode's fourth USB product release in four months," commented Sherman. 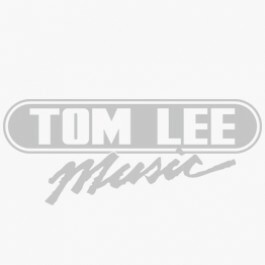 "Our experience in USB audio and MIDI is unparalleled in the industry and the result is another top quality USB product." 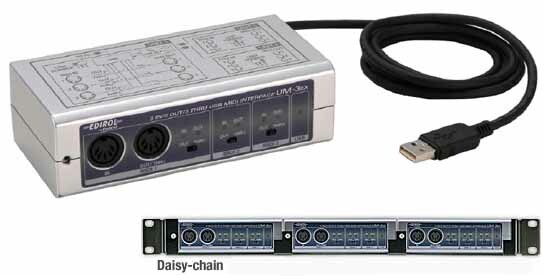 Opcode recently released three USB audio interfaces: DATport, SONICport and SONICport Optical. Opcode has also announced a rackmount line of USB MIDI interfaces including the MIDIport 64(tm), MIDIport 12(tm) and STUDIOport(tm), a hybrid MIDI and audio interface. The US Manufacturers Suggested Retail Price of the MIDIport 32 is $149.95. hi Knez; great to see someone else making contribution of info;) glad to see you.. I personally have the silver (like the 8x8 in the picture) version of the 4x4 and it works great on my MDD running 9.2.2. A friend of mine has the green 2x2 one and it works for him on his MDD. yeah i think theres possibly some issues with the anniversary edition ones, i would consider them to be osx+ only due to what ive read untill i can get a confirmation from someone else! the silver ones maybe are a revision 2 and perhaps the anniv were a 3rd revision....? i know that for sure with the uno cables there was 3 revisions 1 + 2 being ok, and 3 not.. I see. But as I wrote, I can confirm that the new Green/Black "anniversery" 2x2 interface works on OS9. My friend uses this with his MDD without any problems at all. ok good to know!!!! i thought u meant the green/blue 2x2 older model! just realized that these devices can be daisy chained AND 19" rackmounted!! sitll using 1 usb port and each 2+3 port (not 1) is switchable to be a thru port (i thinki with source coming from the 1) and they have drivers all the way up to osx mavericks and i think roland edirol will continue driver support in the future! I add to this list the Steinberg USB2MIDI, which is basically a MIDIsport 2x2 in a different case — and in fact it can use the MIDIsport 2x2's drivers (both for OS 9 and OS X). Midisport 2x2 USB (green and blue) works here. I needed to mess around a bit with OMS - but works now. If you need drivers - pm me. I have the Midisport 8x8. It is great since there are drivers that span from OS9 using OMS (USB on a G3) up until my current OSX 10.8.5. I never was able to get the serial port to work under OS9 or 8.6. It appears to be a cost effective CV/Gate, but it has no hardware MIDI IN.. and relies on USB to be a proper In/Out device.. I never gave this another thought with the Amiga 1200 because it has no USB but my G4 does. I'm not sure how universal the OS9 usb drivers are. Obviously these days with OSX and Windows most devices can work without having to deal with custom drivers, but we're talking about OS9 and I haven't had to hook up many devices to my system so far. There is no OS9 "MIDI over USB" driver. The standard class compliant protocols that exist today and are incorporated into your modern Macbook, iPad etc. did not exist back then. You are entirely dependent therefore, on FreeMIDI (since you're using DP) to recognize and communicate with the Beatstep over USB. The Mac USB Device Driver will "see" the Beatstep. It won't know what it is but it will probably pass data to it from DP if FreeMIDI recognizes the Beatstep as a MIDI device. 2. Timing. Playing a sequence out from DP through the Beatstep to use its CV gates will be a breath-holding, fingers-crossed procedure. The Beatstep is a modern device that is reliant on modern protocols to work - as I said, a long shot. Thanks for confirming that. I figured as much, but was hoping maybe something about midi-usb devices ran deeper.. but I realize that midi-usb was a big revolution in later generation hardware along with other OS advancements..
if you are lucky, the beatstep might work halfway with some other driver by accident. but otherwise no devoce driver = no OS9 support. you will find similar devices from akai, edirol, m-audio... for OS9, unfortunately second hand prices are higher than getting a modern one new. It's universal driver version for Yamaha USB-devices, but it has also Patchbay control panel to UX256. It should has also support for UX96, but not tested. I have a Roland UM-1 interface. The Roland page lists to the OS9 driver, but it's a tgz file, and on the inside the files seem to have lost their resource forks or whatever. The installer is just a blank icon and won't open. That white icon is a extension. And works. To kill the UM-1 family trouble. There is no installer. It is just an extension to drop on extensions folder. Once you drop and reboot it stop asking to search for drivers on internet. To kill the UM-1 family trouble. hmm that doesnt sound right.. the midisport 8x8 should work as far as i know.. the original 8x8/s was released in 2001 i believe? or late 2000? MacOS9 was new + very much the standard mac os at the time... so it MUST WORK! perhaps they made different revisions of the Midisport 8x8 unit.. after about 2004? when all the support for os9 dwindled out of existance after hanging on for 2 years since the "steve jobs funeral"
are there any other midisport 8x8 owners out there? under mac os 9.... so i guess that means that it worked fine using the USB port? that doesnt make much logical sense tho either... using which mac model? were you using a modem-serial adapter?